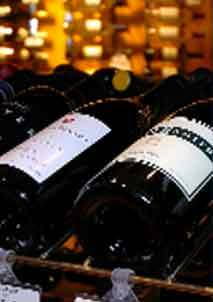 Wines are a few of the many beverages that require specific conditions in order to preserve their quality. Hundreds of years ago, people stored wines in caves and in underground cellars because wines need a cold, dark and humid atmosphere in which to age properly. Wines need a cool and moist environment in order to mature properly. Heat is one of the primary enemies of wine, because it causes premature aging and thereby ruins the wine’s flavor. The ideal temperature for wine storage is approximately 55 degrees Fahrenheit. Also, adequate moisture is required for proper wine storage, in order to prevent the corks from shrinking and consequently causing oxidation, which ruins the flavor of wine. Ideally, a custom wine cellar in Houston, Texas should have a humidity level within 65% to 75%. The temperature and humidity level in a residential wine cellar in Texas should be consistent, because constant fluctuations can also damage your wines. Have you noticed that wine bottles are generally dark colored? This is because the glass used in most wine bottles has UV filters incorporated in it. Wine can be ruined if exposed to direct light. In relation to this, residential wine cellars in Texas should also be dark inside, away from direct sunlight. The lighting inside should also emit little heat. 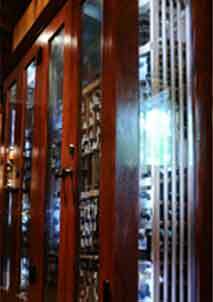 Carefully choose the lighting you install in your custom wine cellar. LED lights are the most ideal custom wine cellar lighting. It seems very common for people to keep their wines on top of their refrigerators. Perhaps it’s because of the convenience of the location. But what people do not know is that the top of a refrigerator is one of the worst places to keep wines. Wines are not only exposed to heat and direct light in that location, but also to constant vibration from the fridge itself. Constant vibration can ruin wine, because it agitates it and prevents the sediment from settling. 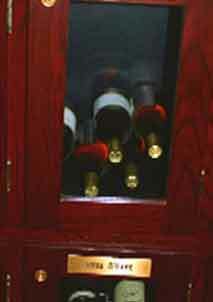 Have your wines stored in custom wine racks in Houston, Texas, that protect them from constant vibration. There are different kinds of wine racks in Texas. Choose wine racks that allow you to store your wines horizontally. Wine bottles need to be kept on their side so that the corks are always in contact with the wine. This prevents the corks from shrinking, which would otherwise lead to oxidation. Oxidation causes wine to taste like rust. To achieve the ideal temperature and humidity inside your residential custom wine cellar in Houston, you need to have a wine cellar cooling system installed. 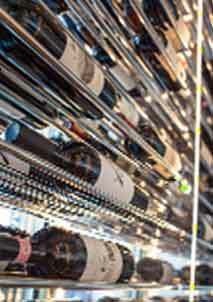 There are various kinds of wine cellar refrigeration systems on the market. Make sure you choose the right kind for your home wine cellar in Houston, Texas, by having a professional HVAC installer calculate the heat load within your wine storage room.